The Spiegel Sohmer Tax Policy Colloquium was made possible by a generous grant from the law firm Spiegel Sohmer, Inc., for the purpose of fostering an academic community in which learning and scholarship may flourish. In its second installment, the Colloquium focused on the fundamentals of corporate tax policy by critically examining issues in national and international tax policy. 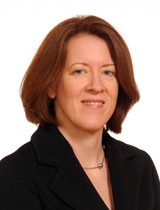 The Colloquium was convened by Allison Christians, H. Heward Stikeman Chair in Taxation Law. Scott Wilkie, a partner at Blakes' Toronto offices, has a practice that is is primarily focused on international taxation including international corporate tax planning, transfer pricing and tax treaty advice, although in his 30 years of experience, he has advised on most areas of income taxation. Wilkie is vice-chair of the Permanent Scientific Committee of the International Fiscal Association. He is a past chair of the Canadian Tax Foundation and a member of the International Advisory Council of the International Bureau of Fiscal Documentation. Furthermore, he is an adjunct professor at the University of Toronto Faculty of Law, where he teaches international taxation, a co-director of the Osgoode Hall Law School Professional LL.M. in tax law and an adjunct professor in international taxation in that program. Citizenship and Taxation Symposium, University of Michigan Law School, Ann Arbor, Michigan - Friday, October 9, 2015. This symposium focused on ongoing developments regarding the unique US practice of taxing citizens who live permanently overseas. With the adoption of regimes such as the expatriation tax added by IRC § 877A and the Foreign Account Tax Compliance Act (FATCA), the taxation of non-residents with US person status now has serious and tangible implications. Like most countries, the United States claims the right to tax on a worldwide basis all of the people resident in its territory regardless of their legal status. But virtually alone in the world, the United States also claims worldwide fiscal jurisdiction over its citizens whether or not those persons are or ever have been resident within the territory. The legal claim over citizens dates to the first national income tax and has been continued through the present, but enforcement has always been an abstract ideal rather than a viable program. This status quo has dramatically changed as an unexpected side effect of the adoption of the Foreign Account Tax Compliance Act (FATCA) in 2010. By introducing an unprecedented regime for global third party reporting, FATCA enables the IRS to enforce citizenship taxation on a worldwide basis for the first time in the history of the income tax. As will becomes ability, the normative foundations of citizenship taxation are coming under intense scrutiny. To explore these issues, the symposium presenters offered different perspectives on the meaning, feasibility, efficiency, and fairness of the U.S. practice of citizenship taxation, and commented on the practical and policy effects of new legislative developments. We invited proposals that consider U.S. citizenship-based taxation from a historical, economic, social, political, institutional, or philosophical perspective. Deadline for proposals: February 28, 2015. Now closed. Paper proposals must be between 300–500 words in length and should be accompanied by a CV. Successful applicants will be notified by the end of March 2015. Proposals should be submitted by email to Reuven Avi-Yonah (aviyonah [at] umich.edu) and to Allison Christians (allison.christians [at] mcgill.ca). Successful applicants must submit a working draft of their paper by September 8, 2015 for circulation among conference participants. Some support will be available for travel and accommodations; please indicate in your proposal should you require it. We anticipate gathering papers for a potential symposium issue or edited volume.